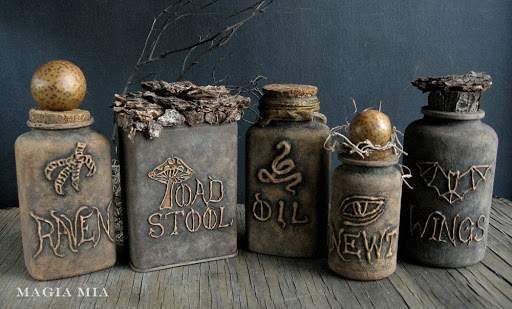 Would you ever guess that these DIY potion bottles by MagiaMia are created with hot glue and empty food packages? You can’t help but feel inspired to create some spooky chic ambiance after seeing all of these amazing DIY Halloween decor ideas. Am I right? Thanks to all the amazing bloggers who allowed me to share their ideas here! If you’d like to pin one of these clever projects, please be sure to visit the original source for the project and pin from that bloggers’ page.